(1) You are calmly strolling down the hallway in your office building when the (very loud) fire alarm sounds—Beep! Beep! Beep! 2) You are driving down the highway in pretty heavy traffic but have a nice distance between you and the car in front of you. Suddenly, seemingly out of nowhere, a car speeds up on your left side and veers into your lane, missing your front left fender by inches. You slam on the brakes. Thank goodness nobody was right on your bumper! Take time to really put yourself in one of the above situations. Can you sense how your body reacts? The two above scenarios typically trigger the startle reaction—an automatic reaction to an alarming situation. The startle reaction is designed to protect the body from attack. As part of the startle reaction, muscles of the neck contract pulling the head back and down toward the body and the shoulders raise. Other systems are affected too —your breathing and blood pressure change and heart rate increases. 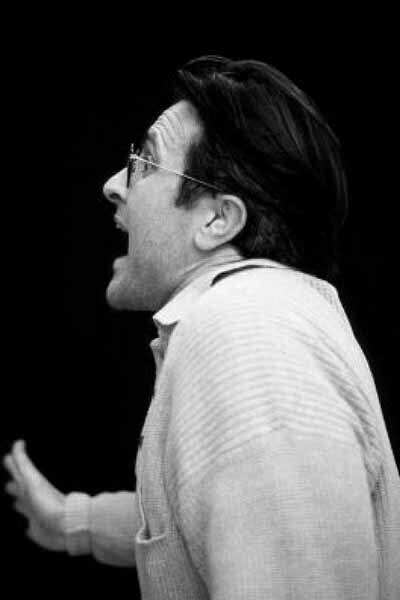 Below is an actor illustrating the typical physical manifestation of the startle reaction. At a class I taught this fall I brought a bag of balloons and a pin. It was a class on balance and the Alexander Technique. That particular evening we were learning about the startle reaction. I blew up the balloons. I popped some of the balloons with the pin. I threatened to pop others. All to give the students an in the moment experience of their startle reaction so they could get good and familiar with it. Although the startle reaction is an automatic reaction to a threatening situation, for many of us once triggered, it sticks around longer than necessary. In other words, the immediate danger is gone but we are continuing to over contract the muscles in the neck and shoulders. And that is a problem. I have certainly found myself in one of the above scenarios on the highway. Someone swerves in front of me, my startle reaction kicks in. Five or ten minutes later the immediate danger has long past but I am still contracting in the neck and shoulders. But only when I notice that I am over contracting can I invite myself to stop. Unfortunately for many of us, especially if we are overly stressed already, we may overact to milder, less threatening situations, with the same startle reaction. For example: a disgruntled customer yelling at you; anticipation of an important deadline at work; thoughts that you don’t have enough time to get everything done. All somewhat stressful but definitely not life threatening situations. Yet our reaction is as if it is a life threatening situation. It has become inappropriate and maladaptive. If you are constantly overreacting to stimuli by going into this startle reaction it can become more or less habitual and feel normal. You start to live more or less in a mild startle reaction all the time. In the long run, not good for your posture or your Use. Alexander lessons address this habitual over contracting of your musculature. However, on your own you can start by getting good and familiar with your own startle reaction. It is often much easier to observe your habits if you start with one specific activity in which to do your observations. One great place to start paying attention is if you drive a lot, especially in heavy stop and go traffic. If you notice you are tensing your neck and shoulders just gently remind yourself you can undo a bit and not tense quite so much. When you notice you are doing it again, ask gently again. Start in one place in your life to notice and then gradually pay attention at other times during the day. As always I love to hear about your own observations and explorations. Let me know in the comments section. 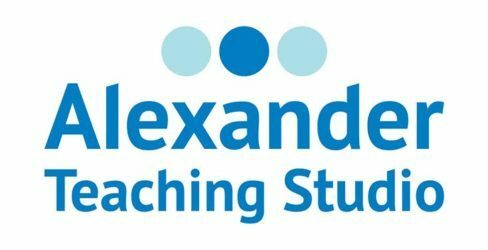 Alexander teacher Hilary King has an excellent in depth description of the startle reaction in the extensive glossary of Alexander Technique related terms on her website. Glad you liked it Barbara.